If you live in an area where winters are chilly, now may be the time to consider a way of making your life a little more enjoyable. Think about how it feels to step out of a warm shower and feel the chill in the air. Now imagine a world where you jump out of that great shower and wrap yourself in a towel that is heated and waiting for you to enjoy it. That is what you will find with a towel warmer. However, it does have many other benefits as well if you choose one of the best towel warmers on the market. This leads to the question: which one is truly the best? Continue reading for more information about heated bath towel warmers or go ahead and skip to our pick of Best Towel Warmer Reviews now. Why Do You Need A Heated Towel Warmer? Besides the most obvious pleasure of toweling off in a towel that is warmed up and waiting for you, there are numerous other benefits to the best towel warmer on the markets. One of the main ones is that it helps to dry damp towels faster than normal. If you are a person who wants to use the same towel a few times before washing it, but feel that the odor is bad when you try to do it, consider the fact that the damp towels you hang up take time to dry. This time allows for mildew to form and this can lead to the odors that make your nose say, “Yuck”. With a new bath towel warmer your towels will smell great, even if you reuse them, because the faster drying time will not allow them to mildew even the tiniest bit. Wouldn’t that help you come laundry day? If so, perhaps now is the time to check out these heated towel warmers to give you an idea of what you want to try out. It will also give you an idea of what options you have before the rainy, damp season where you live or before winter comes your way again. 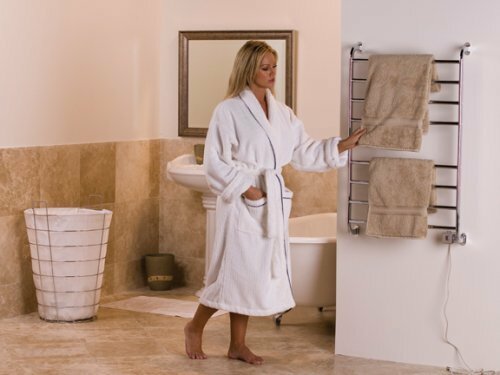 Amba towel warmers come in a variety of options. 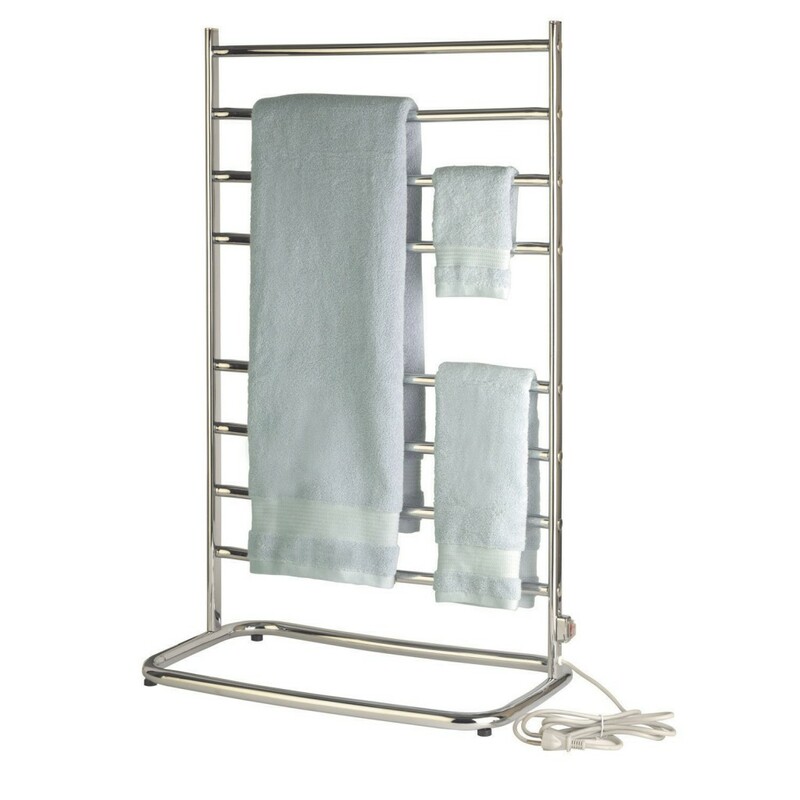 The Amba Radiant Hardwired Curved Towel Warmer is a popular one, as it heats up quickly and it is made of 304 grade stainless steel. It is hard wired and can be turned on or off as needed. 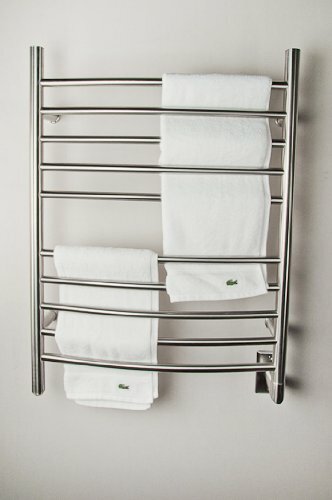 It has a total of ten steel cross bars to ensure it dries thoroughly and warms better than some other towel warmers. There are also two horizontal bars that are also heated. It weighs only 11.8 pounds and totals 33.8×26.9×3.8 inches. You may choose either brushed or polished stainless steel. 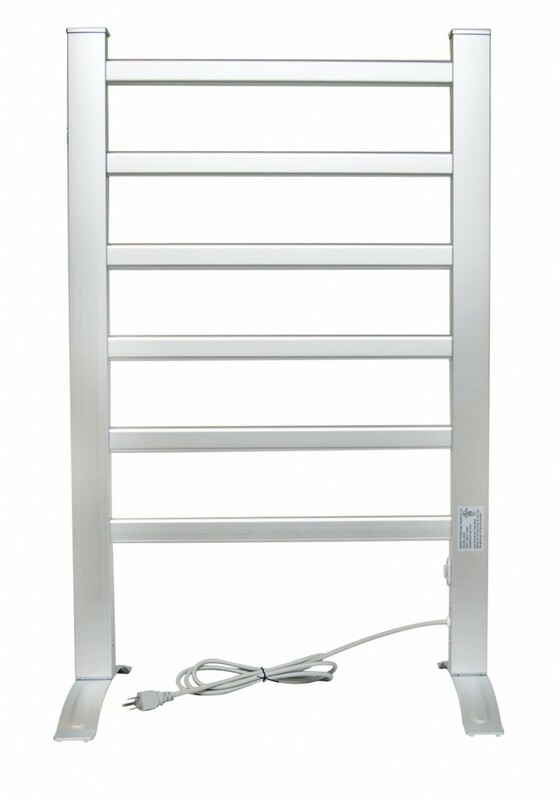 The LCM Freestanding Towel Warmer has an aluminum frame that is finished in brushed chrome. It is easy to put together, can be mounted or stand free of the wall. You simply need to be able to plug it into a 110-120V outlet. You can turn it on or off as needed when you want to dry your items. Or you can simply warm them up and within 30 minutes the temperature will reach 122F. Total space it will take up is only 21.7×13.2×35.6 inches. If you are concerned about the weight of it, rest assured, it is only 8.2 pounds, which makes it easy to move around and hang if you prefer it wall mounted. If you want a portable towel warmer, the Brookstone Towel Warmer may be the best solution for you. It will heat up to 120F within 10 minutes and you do not need to attach it to anywhere. It can hold up to two oversized towels at one time. You can even use this to heat up a robe or a blanket. It is a free standing, completely contained unit that will plug in anywhere that you want to use it. This unit does require you to fold, roll your towels and other items, so it may not work well for drying them out, but it truly depends on what you want from your towel warmer. 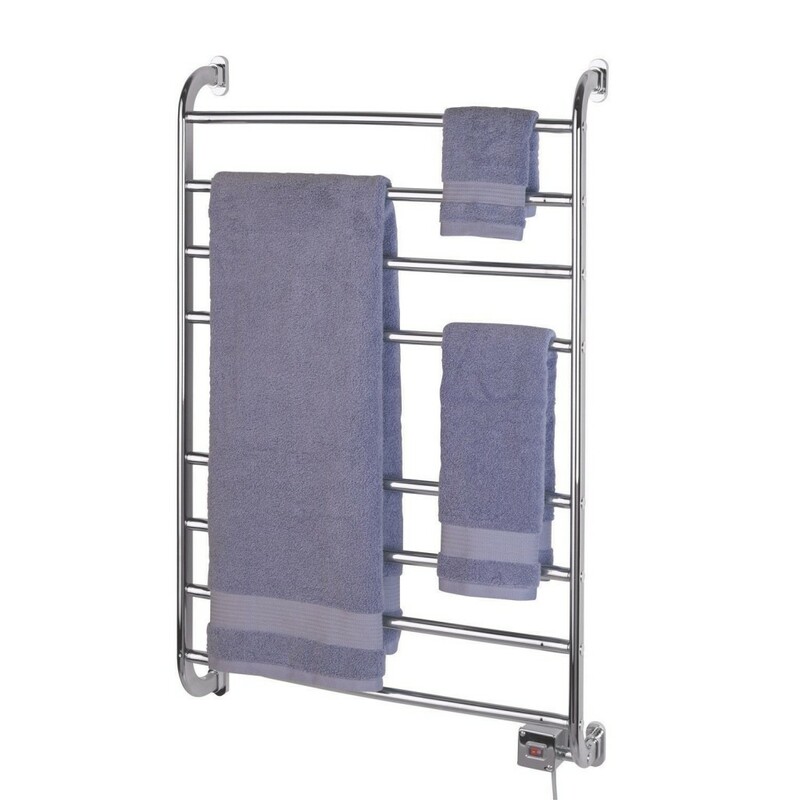 This Warmrails Kensington Wall Mounted Towel Warming Rack is a 105 watt unit for wall mounted use only. You do have the option to hard wire or soft wire it into your bathroom. You can warm up baby blankets or robes, swimsuits, and other items if you want to. It can dry things that you want dried quickly. You will no longer have to use your dryer for just that single towel. You will be able to say, “Goodbye” to your smelly bathroom wash clothes and towels. It has a 1 year warranty and is 39.5 inches tall. 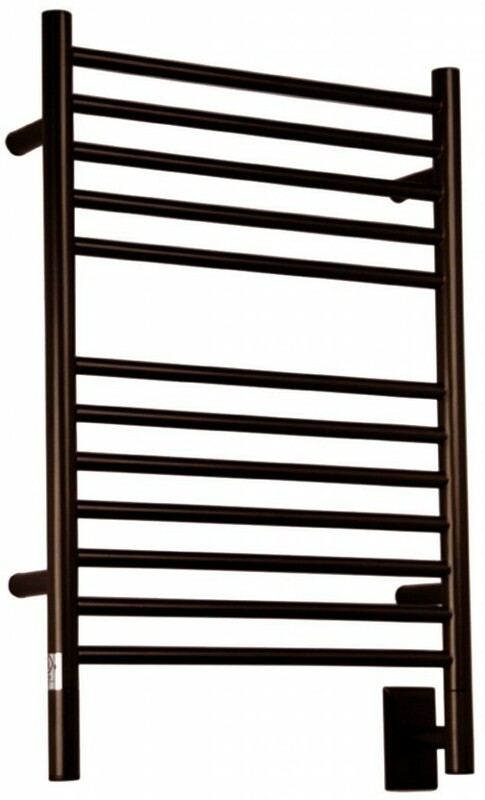 Another option in the line of Warmrails towel warmers in the Hyde Park floor standing editions. 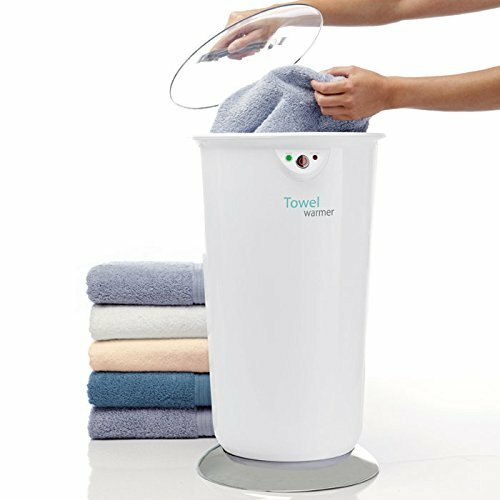 According to the most reviews, you can keep several people happy with warm, dry, fresh smelling towels. The Hyde Park Freestanding Heated Towel Rack comes with a 1 year limited warranty and it is ideal for even the most delicate hand washables. It is also one of the more affordable options when it comes to a towel warmer for the entire family. Another Amba towel warmer is the Amba Oil Rubbed Bronze Towel Warmer, an impressive 20.5×31 inch that puts off enough heat to work as a heater for your bathroom. It has an average temperature of 145-154 degrees so that your towels can be warmed to the fullest. Your entire bathroom can be mold and mildew free where towels, wash clothes and other things are concerned. It is controllable by a switch or by programming it to be on a timer. It works off a standard 110 volts. The oil rubbed bronze finish is the latest trend and is sure to look classy in your bathroom or spa.